The name sounds like a new tube amplifier but it is not. In fact it is the last mosaic tile for our production. Now we have the whole wood processing in our hands. 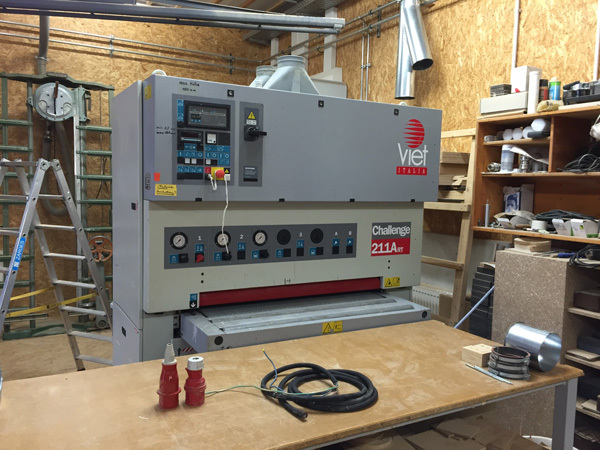 The Viet Challenge 211 ART is a professional calibrating machine that allows us to work with higher precision in our constructions. One more step for our equipment. 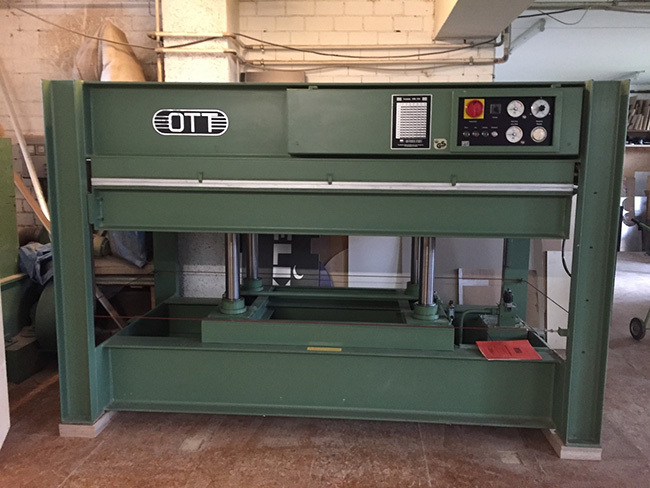 We found a pre-owned (but never used) press to put the veneer on wood. And now we have it in our facility. It was lot of trouble to get it. If You are curious about the long day of work we had to transfer and install it, here You can see some pictures. 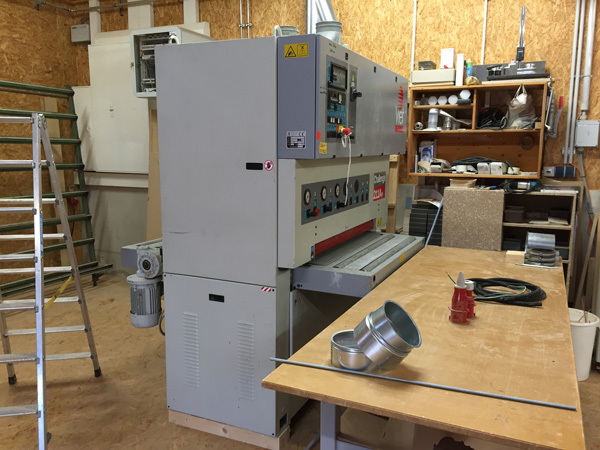 It was due time, after introduction of the harmonic construction on the Genuin FS 2 and then in the Genuin FS 1 MK 2, even the Genuin FS 3 needed a major overhaul. And now there it is. Today we introduce the new Genuin FS 3 MK 2. For us a really major improvement, worth the while. Available starting mid of October 2015. Now, the music is up to You! The Genuin FS 3 was the second product borne from Blumenhofer Acoustics, when we started to focus on the HiFi Market, was our first companion to the Genuin FS 1. 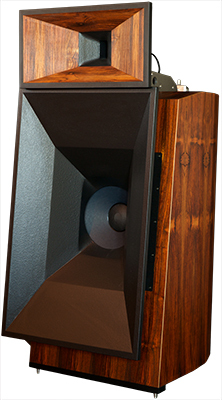 For a longer time was our best seller and for it we developed the P2F© bass woofer. 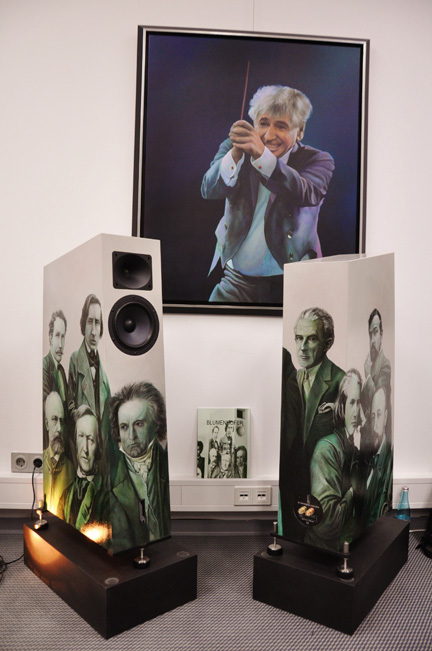 There have been 2 versions in the design of this loudspeaker. 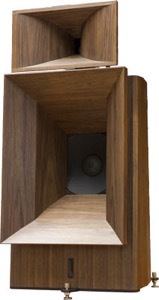 The first one, when we introduced it back in 2005 and this last one with a more modern foot and a smaller horn cabinet, an improvement made back in 2010. 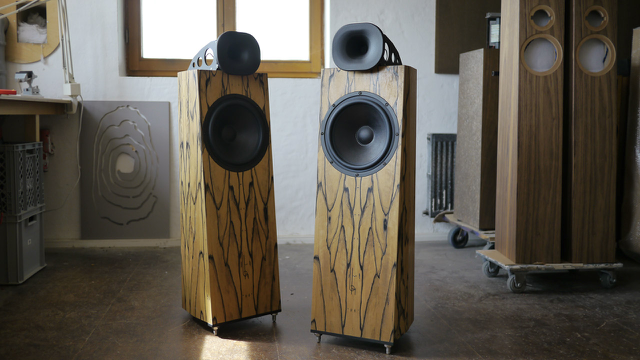 Electrically and soundwise the 2 design issues of the Genuin FS 3 are identical.